A great sounding amp right off the shelf. Best clean sound ever — I have two of them, couldn’t resist getting a second. One of the nicer quality production circuit board amps. I like the way they packaged it up to true vintage spec. with quality chassis and cabinet made of real birch (?) ply and not pressed board mdf junk. The polarity reverse switch cracks me up? I suppose you could use that spot to wire in a midrange pot to the bandstack or a mv or something. The iron in these are kinda weak but they do have a little extra voltage on pwr xfrm. I like it with a different rectifier tube to bring the b+ down and also a little sag. I tried 6L6’s and the added current draw knocked down the voltage quite a bit even with a GZ34 recto the voltage dropped about 30V on the plate. Even with the drop the amp still had a greater amount of power but better sag and compression from the big swings of voltage drop when hitting it hard. Sounded great but running too hot with heat being generated from both trannys. 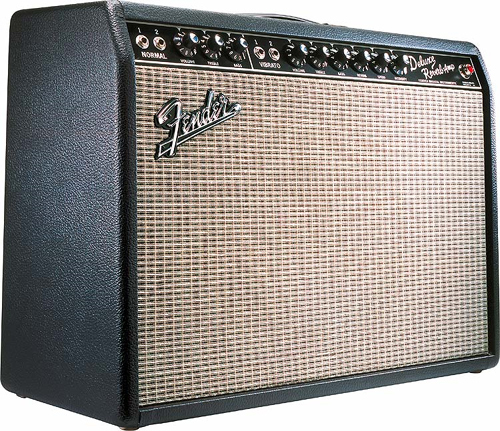 The amp needed reliability over tone in this instance and changed back to JJ 6v6 and a 12ax7 in the PI . I definately want to build a 764 deluxe type circuit of my own, with a tag board, premium components, NOS 6L6 and some decent heavy iron onboard like some mercury magnetics. Now, where are those old beater messed up silverfaced twins or basketcased reissues for cheap? Need that craigslist special to gut! I also forgot to mention that these amps are very brite! Alot of the Sf to Bf type of component changes can also help this amp alot. Change a few caps and a couple resistors and its right on tone! Even if ya dont want to go to such extent just simply cut the brite cap off the circuit board for an immediate reduction of that over the top shrill with some single coil pickups. 1: the jack ins on each channel are rate one for 1M ohms/2 for 136k ohms (I think) — what is the advantage of this? Is it for active vs passive pickips? 2: can I use both channels at once with the ‘y’ part of an AB/Y pedal without damaging anything? 3: lastly, anyone else have a tendency to pick up radio stations thru their DR? I had a 68 custom vibrolux reverb that I traded plus $$ for this one bc I liked the deeper reverb & earlier breakup of the tubes way more than the uber clean weakish reverb, but I immediately noticed the the radio station when I put it on the rack where the VR used to be. I even ran thru a Furman power conditioner and a radial passive box with lift, phase & ground loop switches & nothing nothing seems to work — definitely only comes thru on the fx — ‘verb & tremolo. Any ideas? Try using a different instrument cable (i.e. from guitar to amp). Cables are basically giant antennas if they aren’t completely shielded, so it pays to use good quality cables. 1. Fender traditionally has input 1 6 Db’s hotter than input 2. This was prior to active pickups in the market – but the idea was so that the user could choose the input based upon the output level of the instrument – whether guitar, bass, microphone or even accordion back in the day. A modern use would be perhaps to use input one for a standard level fender style single coil instrument and perhaps plug a hotter humbucker equipped guitar into input 2. 2. You can use an a/b box to switch back and forth between channels without issue – but you cannot “jumper” the channels on a Deluxe the way you can on the old tweeds. You will get an unpleasant out of phase sound. 3. It’s not unheard of to pick up a radio signal – but I don’t think it indicates a flaw in that particular amp. Enjoy your Deluxe! Great amp!